These days, a child or teenager without a digital tablet or smartphone is a rare sight. More children are getting exposed to gadgets at younger and younger ages, and while these devices can be helpful as educational tools, too much screen time can do more harm than good. 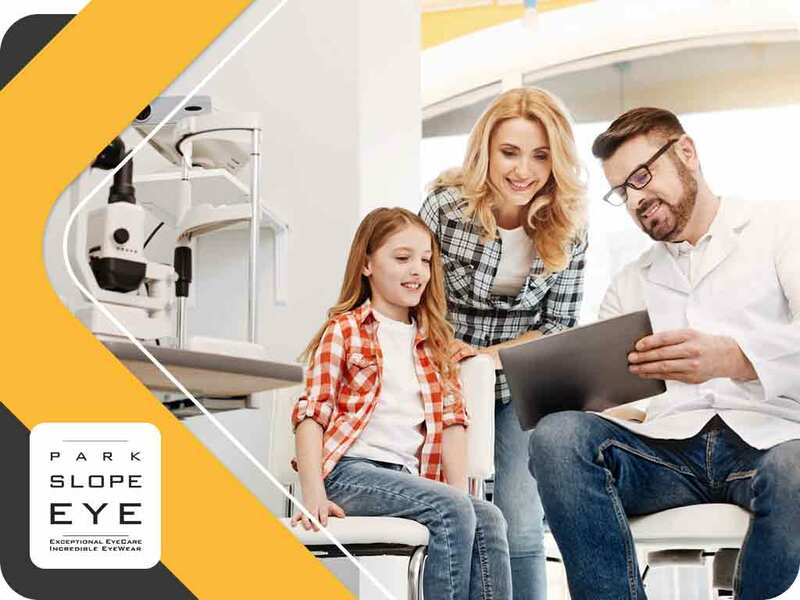 In today’s blog post, your pediatric eye doctor from Park Slope Eye shares tips on reducing your child’s risks of developing screen-related vision problems. It’s common for children under eight years old to spend around two to nine hours every day looking at digital displays. Excessive exposure to LED screens can lead to Computer Vision Syndrome (CVS) or digital eye strain. CVS results in visual stress characterized by fluctuating vision, eye fatigue, dry eyes, headaches and even body pains, especially around the neck, shoulder and back areas. To avoid these problems, reduce or regulate your child’s screen time. Foster a healthy learning environment so your child becomes interested in other activities such as playing outdoors. Encouraging your child to engage in activities that require the use of their other faculties is good for their overall development and well-being. Establish the 20-20-20 rule, where they have to take their eyes off the screen every 20 minutes and look at something that’s 20 feet away for 20 seconds. Apart from wearing corrective eyeglasses, this simple visual break can help reduce the risk of myopia progression. While it may be a challenge to eliminate gadget use completely, you can at the very least take certain measures to protect your child’s visual health from the detrimental effects of blue light. For one, you can adjust the contrast and brightness of the screen to the ideal configuration. Eyeglasses with integrated blue light filters are also a good option. Certain anti-reflective coatings and transition lenses also do a great job of blocking blue light. Park Slope Eye specializes in family eye care and pediatric eye care. We also offer effective dry eye treatment options. Call us today at (347) 380-7070 to schedule an appointment. We work with patients in Brooklyn, NY.